Princess lines and asymmetrical styling come together to create a fabulous look. Stand up collar and button closure add a touch of contemporary flare. 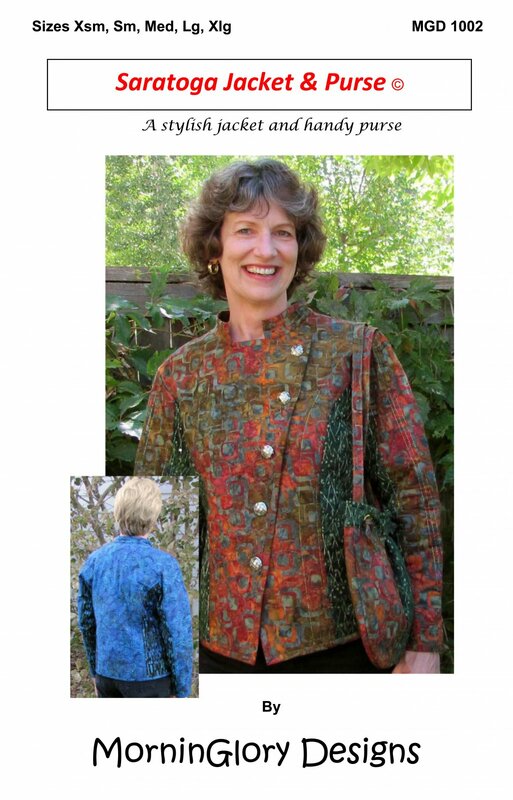 Sew or surge seams for a quick put together jacket that you’ll love wearing. A pleated purse is an easy and complimentary addition for making a great ensemble. Sizes Xsm -Xlg included MGD 1002 Requires intermediate sewing skills.